This agreement between Avalon Credit and the undersigned client is for the express limited purpose of credit verification and improvement. The attorney will attempt the removal of errors, misrepresentations, or unverifiable information, that the client claims appears on the credit reports that they have furnished the Avalon Credit. 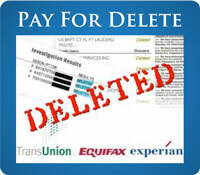 This is not a debt consolidation or bill payment program. Federal law requires that unverifiable, outdated or erroneous information must be removed regardless of accuracy. The attorney agrees to act diligently in the pursuit of this legal matter and will carry out this agreement within all Federal and States laws. The client understands that there will not be any fee or any other charges associated with the credit restoration service until after the monthly Credit Verification Audit is performed. The client understands and agrees that on the same day of every month, he/she will be charged for all costs and fees associated with the previous month�s Credit Verification Audit and the initial fee will be charged after the first consultation and document preparation is complete. The attorney agrees to perform the service for this amount and states that there are no additional costs. The client understands that the monthly Credit Verification Audit includes the evaluation of all three credit bureau reports and all correspondence associated with the verification process. The client agrees to send all correspondence and credit reports from the credit reporting agencies to Avalon Credit as soon as received and not to send any correspondence back to the credit reporting agencies. The client must notify the Avalon Credit if he/she has not received any credit reports or correspondence within 40 days after the last correspondence from the Avalon Credit or the credit reporting agencies. 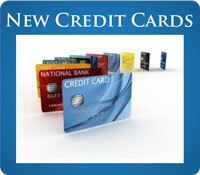 The client must also inform the Avalon Credit of any change of address or any other status affecting the client. Failure to do so will cause the client�s last challenge of their Credit Verification Audit to be continued on a repetitive basis and the guarantee will be void. If client is in compliance with these terms, and no item is improved or removed, after the first response�s), of the first three challenges with the credit reporting agencies, have been sent to the Avalon Credit, the client will have, upon written request, the right to cancel and receive a refund of the first three month�s fees. No other guarantees are implied or suggested and no oral representations shall be effective. The guarantee does not apply to the renewal of services. The initial term of this agreement shall be for one year. If the client decides to cancel the monthly Credit Verification Audit at any time during the year, a written request must be sent to the Avalon Credit. If the attorney has worked on your file prior to receiving your written cancellation, but after the 15th of the previous month, you will be charged for the current month and then cancelled. If you do not cancel, the attorney will automatically renew this agreement for an additional year if the Credit Verification Audit has not been completed. As may be appropriate, the attorney will terminate the audit procedure if he concludes that no further work is necessary. Based upon the nature of this legal service, I understand that individuals that assist the attorney in this matter may view my file and its contents. All staff such as legal or research assistants and secretaries have been alerted to the sensitivity of these documents. The attorney and his staff will take all reasonable measures to ensure that this information will be handled in a responsible manner.